February 20, 2015 Prapon Ditrungroj, M.D. Calcium deposits can be found on the walls of the coronary arteries, heart valve, or pericardium. Calcification of the coronary arteries is a serious condition. It is a degenerative process that occurs over many years before the symptoms of heart disease become apparent. According to a study, coronary artery disease can be predicted by the amount of calcification, along with other risk factors, such as diabetes, high blood pressure, high cholesterol levels or smoking. 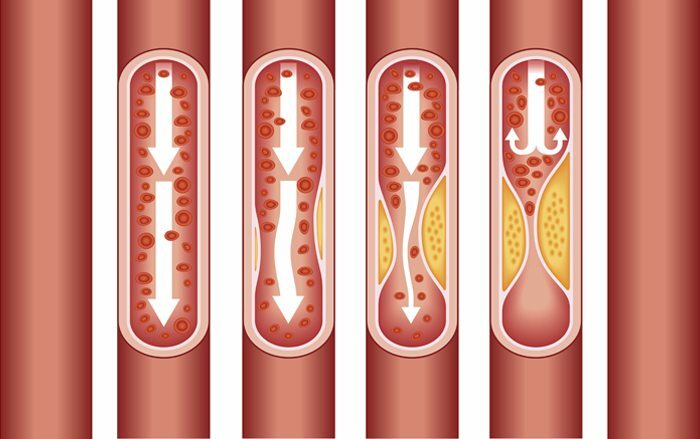 People with coronary artery calcification have an increased risk of acute heart attacks (myocardial infarction) due to a sudden blockage of blood flow in the artery. Who should have a coronary calcium scan? 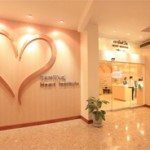 According to the recommendations of the American Diabetes Association, patients with diabetes, elderly patients and patients with kidney failure who cannot perform the exercise stress test can undergo a coronary calcium scan as it is a standard technique. A coronary calcium scan is used to predict the occurrence and fatality of heart disease. The information is also used to find an appropriate preventive measurement for coronary artery disease for each patient. A high coronary calcium score indicates an elevated risk, so medications should be given immediately in such cases. Why is a coronary calcium scan so important? Prevention is better than a cure, regardless of whether people are at high or low risk. It is important to quit smoking, exercise regularly, reduce fatty foods, get enough rest and avoid stress. This is especially important for people with high blood pressure and high cholesterol levels. It is recommended they change their lifestyle and take care of their health by controlling blood pressure below 140/90 mmHg and LDL-cholesterol should be less than 130 mg/dL. A coronary calcium scan takes only a few minutes; using a high-speed gated computerized tomography scanner. It enables the acquisition of 128 slices without the need for a coronary angiography. It provides high resolution images of the beating heart at a fast scanning speed. Even a small amount of calcification on the coronary artery walls can be detected to help identify the risk of developing coronary artery disease. With this technique, the amount of calcification is measured. A newborn with normal artery scores 0. Age may associate with higher calcium levels, but should be in the range of 200 – 400. People with a calcium score of over 400 are at higher risk.